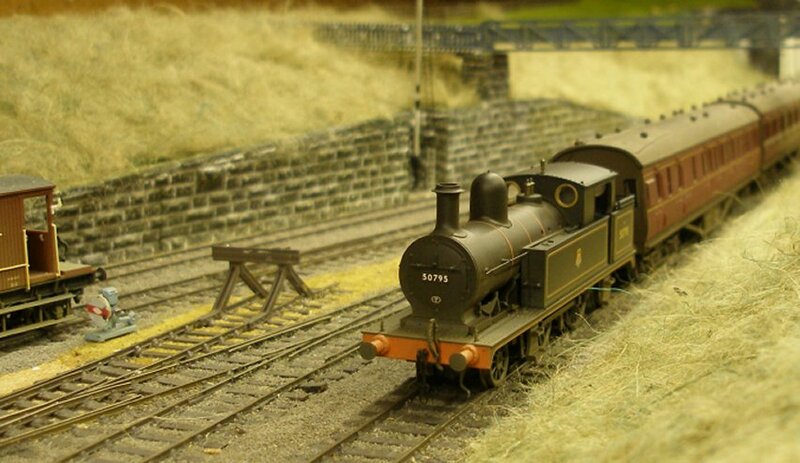 Bachmann's L&YR 2-4-2T Radial Tank was a very unexpected but very welcome addition to the fleet. These were particularly long-lived locos that were both versatile and popular in service, covering both local and main-line turns. I was fortunate to see the last loco in service, 50850, performing station pilot duties at Southport in the summer of 1961. It was withdrawn the following October. 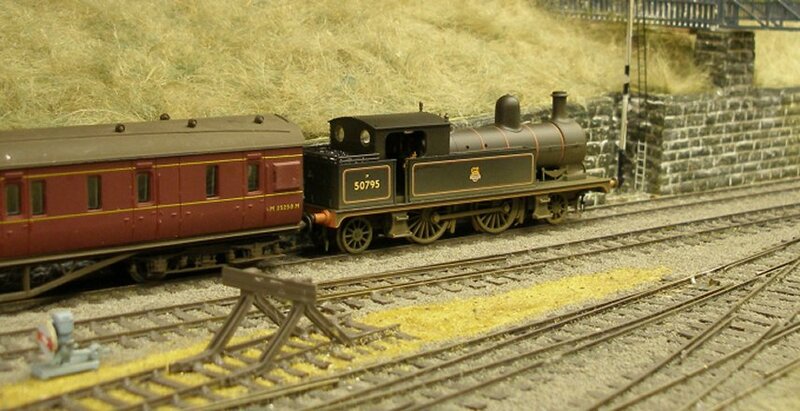 Bachmann's choice for two of the locos were based at the Midland shed at Manningham, outside Bradford, and there's a photo of the two of them together at the end of their working lives on the Shed Bash UK site. Their location here means that they would not have been seen service on the Calder Valley line, despite there being a Lanky station in the city. The Radial tanks were particularly long-lived, and despite a steady influx of Stanier and then Fairburn 2-6-4 tanks into the ex-L&YR Central Division through the 1930s and 1940s. Even when withdrawn, there seems to have been an active policy at holding them at depots in some form of 'reserve', rather than despatching them immediately for scrap. The Railway Correspondence and Travel Society in its 'Locomotove Stock Alterations 1952-1954' records the Wirral Railway's solitary Radial as being withdrawn in 1952, with the withdrawal of L&Y Radials continuing through the period. The RCTS publication suggests that the last of the super-heated locomotives was withdrawn and scrapped in 1952. In noted that the Aspinall 0-6-0 suffered particularly heavily, and smaller Barton Wright locos were reduced to just six in number. However that the smaller shunting engines were holding their own, particularly the Pug 0-4-0ST's, many of which had recently received new boilers. The class had had no withdrawals since 1938 apparently. 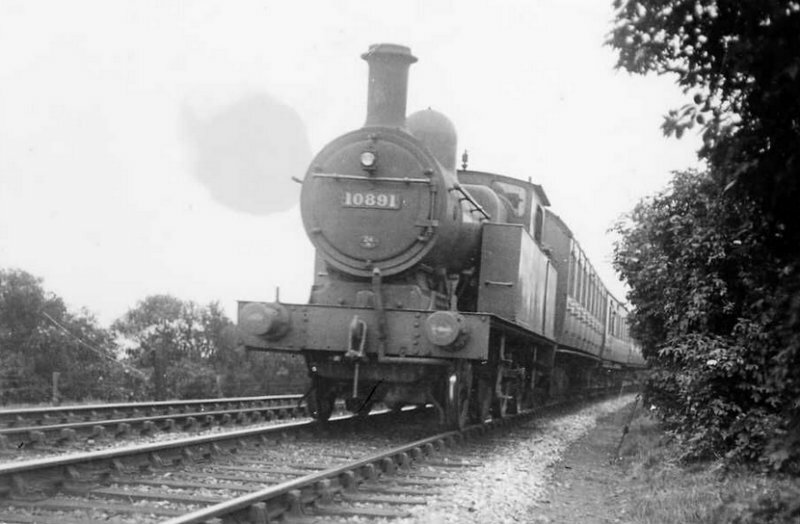 The 0-6-0, which dated back to 1877, had lost only nine members in the 1952-54 period. In 1952-54 the LMS Class 2 2-6-0s were completed, and 1952 saw the completion of the LMS 2-6-2T's. Horwich turned out the last of the LMS Class 4 2-6-0's, and the last batch of the '7000' class 0-4-0T's, the RCTS noting that these were the last batch of LMS locomotives to be built. Of Radials specifically, the RCTS divide the Radials into Class 5 and Class 6. Of Class 5, there were 70 in 1951; 47 in 1952; 39 in 1953 and 39 in 1954. Class 6 there was just one in 1951, and it didn't make it into 1952. In 1952 the Radials withdrawn were 46762; 50622/3/5/33/4/9/40/71/81/9/95/7; 10735; 50749/99; 50802/6/12/40/72/3; 10892; 50898. The solitary Class 6 (3P) was 50925. The 1953 withdrawals were 50678/87; 50703/14/62/78; 50852/9, and in 1954 50621 and 50765 went. It noted "A small item which was to have consequences of great magnitude was the appearance in April, 1952 of a light-weight A.C.V. diesel train which commenced trials on various sections of British Railways. In November 1952 British Raiways announced they were to introduce multiple-unit trains in the West Riding, and since then announcements have followed at intervals...The close of 1954 saw the diesel trains at work in the West Riding and Cumberland....in January 1955, came the most momentous announcement made since nationalisation'. This, was of course, the 1955 Modernisation Programme. This meant that no suburban steam locomotives would be built after the 1956 programme. In the January 1958 Ian Allan British Railways Locomotives Combined Volume 20 Radials are listed. These were 50643/4/6/7; 50660; 50705/12/21/25/46/57/77/81/95; 50818/29/31/50/55/65. This left the issue of when the last Radial ran over the Calder Valley line. Noel Coates of the LYRS reckons that all the Radials were scrapped at Horwich, with one exception, which was cut up at Gorton. So the two Mannignham-based locos in the Bachmann offering would therefore have been probably towed through Hall Royd on their last journey. Interestingly Robert Anderson in 'West Riding Steam Pictorial' reckons that it was indeed 50795 that was the loco selected to go to Gorton, writing: "50795 was last steamed in the autumn of 1956 but not withdrawn until November 1959 when it was towed away to Horwich Works for scrapping. Horwich couldn't cope with the workload and 50795 was eventually broken up at the former Great Central Railway Gorton Works in July 1960." Nonetheless, Bachmann's initiative had to be supported, as there are other Lanky locos that would be very much appreciated, so here are a selection of snaps showing 50795 on her first day in service at Hall Royd Junction the model. L&YR Radial Tank LMS No. 10891 pictured on a Todmorden to Accrington local train near Burnley. Before Bachmann produced this ready-to-run stunner that only way to have a Radial was to either scratch build one or build a kit. 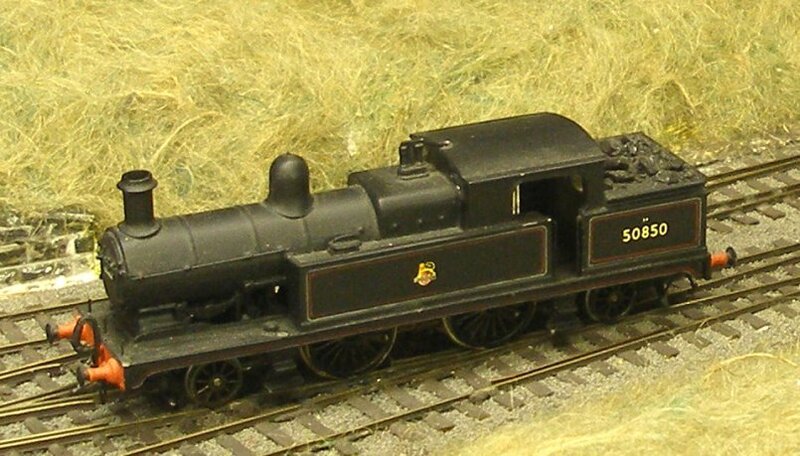 The first kit was from the Cotswold stable, and it still allows the modeller to have a loco sporting an extended smokebox and bunker. It does produce a nice looking model, albeit without brake gear. This one represent 50850, the last Radial Tank in active service, which ended its days on carriage shunting duties at Southport Chapel Street station in 1961, going to Horwich for the last time after the end of the summer season. But the Bachmann Radial tank is not the first Ready-to-Run Lancashire & Yorkshire Railway locomotive, as Dapol offered a Pug many years ago. Here's a snap of Hall Royd's example, and a reminder of how standards have risen, with the Radial offering crisper detail, finer handrail knobs and smaller flanges. Would a Pug graced the metals of Hall Royd Junction? Certainly not in regular service, although there were examples sheded at Goole and they would have passed through either as a light engine movement or dead within a freight train consist. 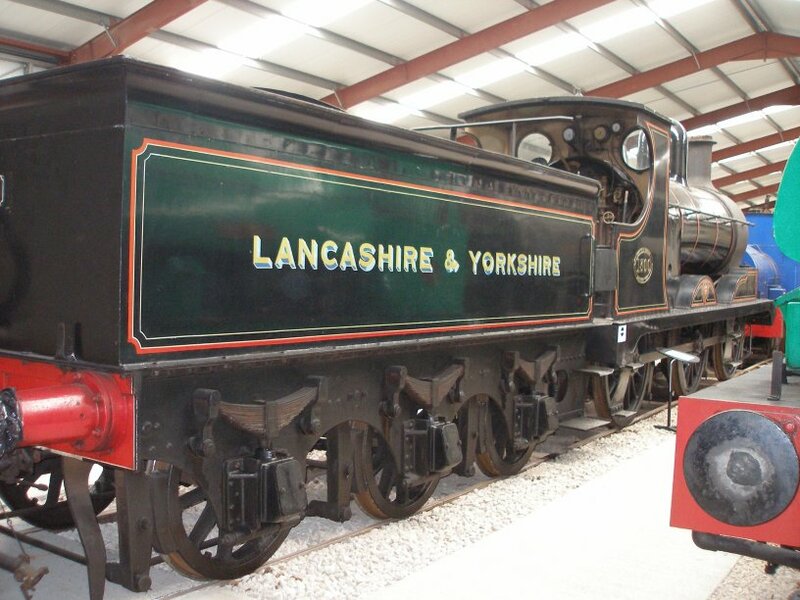 1896-built L&YR number 1300 (later LMS 12322 and BR 52322) arrived at Ribble Steam Railway in mid-December 2009 from the ELR, and as displayed in August 2013.